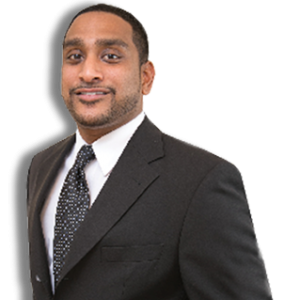 Why Use Travien as your Realtor? situation and the current market. As your trusted representative your interests are my number one priority when researching and negotiating on your behalf. I will use all my knowledge and contacts to provide you with top service and deliver superior results. 1. I will prepare you to buy your home, not just browse. 2. I will tell you what you need to know and not what you want to hear. 3. I will get your paperwork/mortgage in order before we start looking. 4. I Have Techniques to win multiple offers, other than on price point. 5. I can coordinate all aspects of this process from when we begin to when you move in. I will sell your home as fast and as high as possible with honest communication and transparency. 1. I will tell you what you need to know, not what you want to hear, I am sick of hearing stories of people being promised HIGHER PRICES (to get a listing signed) only to be asked for a price reduction 1-2 weeks later. 2. In depth property evaluation while explaining the reasoning behind the selected value. 3. Professional Photos, I am not a photographer and will hire a professional at my expense. 4. Home staging Consultations are included because I am committed to getting you the highest price for your home. 5. Ask me about my marketing plan. Tired of endless searches? Calling potential landlords and booking appointments at times that suit them but are hard for you? Renting with me is convenient for you. 2. I will help you determine your area and price point. 3. I will send you suitable properties based on your needs/wants and book appointments at times that suit you. Take the headache out of finding tenants by having a Realtor take care of it. 1. I will handle all the phone calls. 4. I will finalize your lease. Please contact me using the Contact Form on the Right side or give me a call at 416-953-5207.